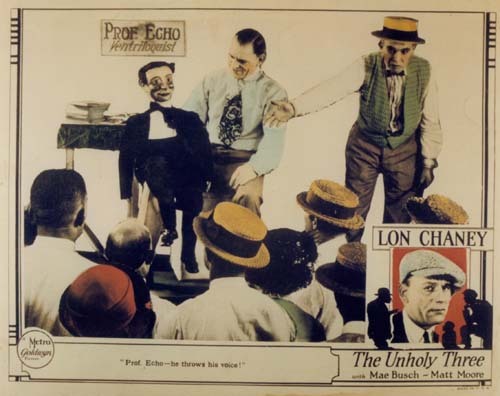 In 2011 Warner Brothers has finally released a series of Lon Chaney films on DVD. 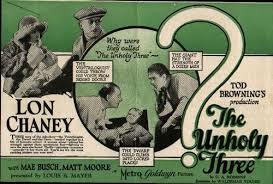 Of these, the 1925 Unholy Three, directed by Tod Browning, is of considerable interest. The Tod Browning/Lon Chaney collaborations, The Unknown (1927) and the photo still reconstruction of the legendary, lost London After Midnight (1927) were released a few years ago on a box set highlighting the actor. Before that, Kino previously released the first two films Browning made with Chaney, The Wicked Darling (1919) and Outside the Law (1920). Their The Big City (1928) also seems to be forever lost, which leaves four neglected films; Where East is East (1929), West of Zanzibar (1928), The Road to Mandalay (1926 in truncated and badly deteriorated form), and The BlackBird (1926). 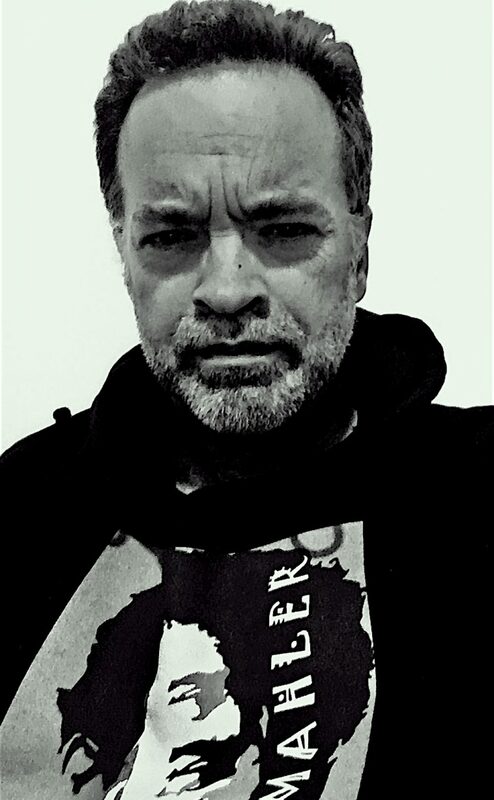 Hopefully, the release of The Unholy Three is a sign that the studio will release the remaining films of the strangest collaboration between director and actor in cinema history. 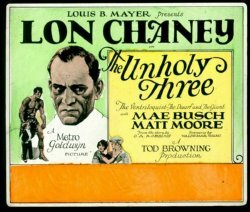 Among the new Lon Chaney DVD releases is the 1930 sound remake of The Unholy Three with Jack Conway directing Chaney and a mostly different cast. The only interest with the latter film is the novelty of hearing Chaney’s voice. As in the silent film, the actor took on various disguises, this time allowing 1930 audiences to potentially envision the famed “Man of a Thousand Faces” as, additionally, the “Man of a Thousand Voices.” It was not to be. 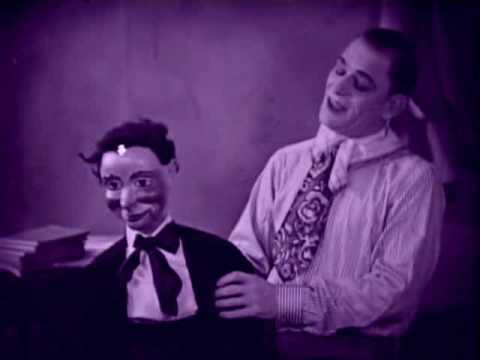 Chaney died shortly after filming and the resulting one and only film to feature the actor’s voice does not bear that potential out. Chaney, dying of throat cancer, is horse throughout the film. To make matters worse, actor Harry Earles was far more magnetic and compelling in the silent film art form.His thick, German accented voice in the sound remake is an epic distraction. Lon Chaney was understandably reluctant about making the transition to sound, his style of acting was so ingrained in silent film emoting. 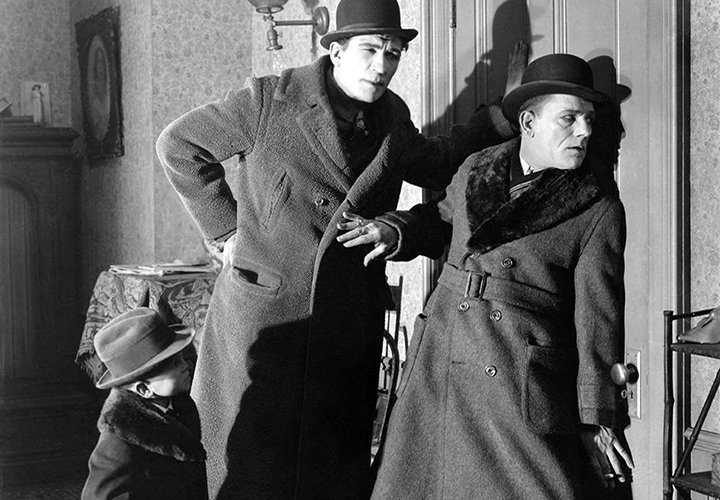 Knowing Browning to be equally uneasy with sound, Chaney unwisely requested the pedestrian Conway to direct. Under Conway, who had no feel or vision for the eccentric, the remaining cast in the sound remake are sanitized, hack versions of the far more eccentric and genuine cast in the Tod Browning directed silent film. The original, silent Unholy Three (1925) catapulted Browning into star director status. 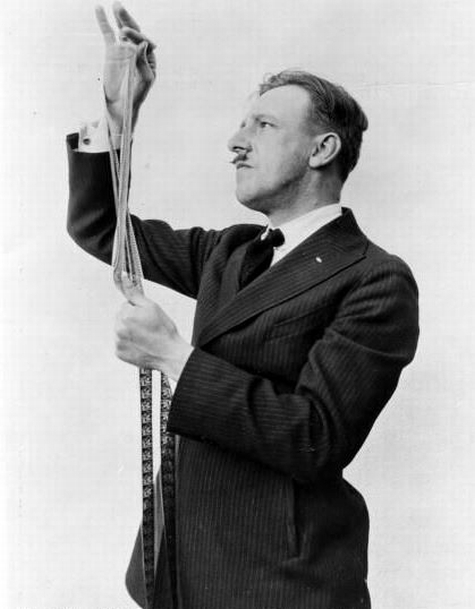 Browning had languished for ten years as an assignment director who rarely had a feel for the mostly banal material handed him. The Unholy Three was different. It contains most of the elements we now associate as bearing Browning’s unique, personal stamp: The quandary of the social outcast combined with perverse characterizations and surreal plot. Before The Unholy Three, signs of Browning’s obsessions were already noticeable, if somewhat subdued, in his attraction to portrayals of criminal misfits, such as The Wicked Darling (1919-starring Browning favorite Priscilla Dean, with Chaney), Outside the Law (1920, also with Chaney), and White Tiger (1923-also with Dean). With The Unholy Three, Browning, working with writer Tod (Freaks-1932) Robbins, was finally able to craft a film which attractively resonated with the aberration of his soul. Aptly, the film begins in a carnival setting. Already, Browning, who had run away from home to join the carnival, was in familiar territory. 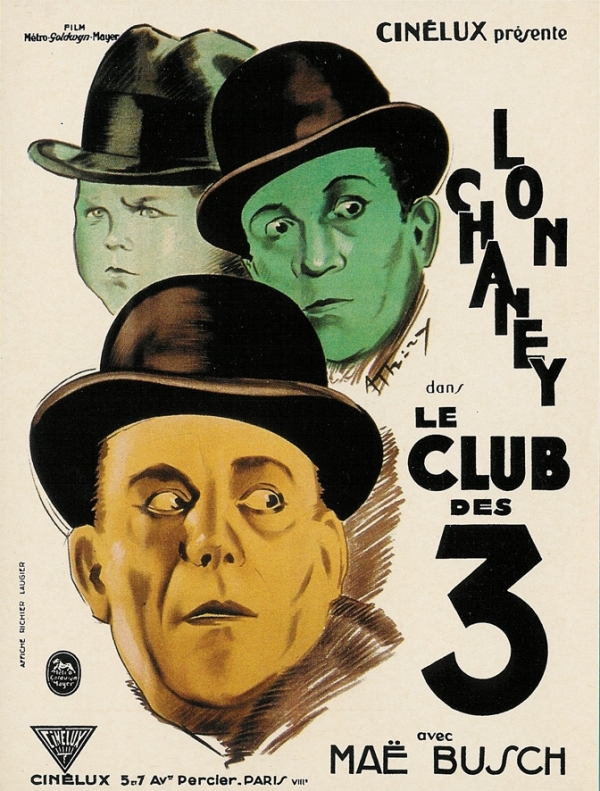 The Unholy Three consists of gang leader Professor Echo- the ventriloquist (Lon Chaney ), the spitfire midget Tweedledee (Harry Earles), and that marvelous mastodonic model of muscular masculinity, Hercules the strongman (a very young Victor McLagalen). An enticing girl, “who broke the Sultan’s thermometer”, bids patrons into the carousel of debauchery. While the three entertainment outcasts are performing, Echo’ s girlfriend, Rosie O’ Grady (Mae Busch) is picking pockets. It doesn’t take long for the bacchanal to turn helter-skelter. In the middle of the show, Tweedledee spies a young boy laughing at him and brutally kicks the lad in the mouth, splattering the boy’s shirt in blood. Eighty six years later, the scene is still unsettling. In a flurry, a brawl breaks out and Hercules amazingly pulls Tweedledee from harm’s way, but the local law enforcement arrives to shut the show down. Fortunately, the Unholy Three have a side scam. 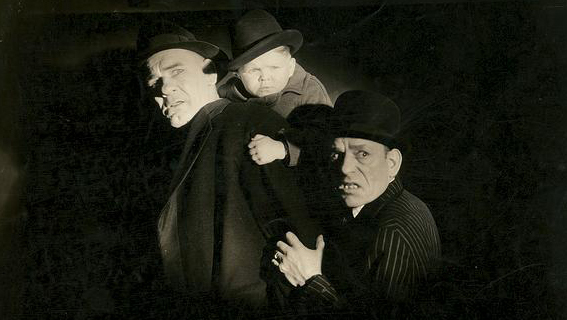 A visually compelling scene shows the shadowed Chaney, huddled with his cohorts, planning the life of crime. Echo dons old lady drag as Grannie O- Grady. With Tweedledee, Hercules and “granddaughter” Rosie, the four open up a store front. It is a pet store which, on the surface, specializes in talking parrots, but behind the facade it’s rocks the four are mining. Even the parrots are a gimmick. They cannot actually talk, but appear to when Echo, the ventriloquist (aka Grannie) throws his voice to make it appear as if the parrots are talking (amusingly, and a bit surreal, their voices are depicted in cartoon balloons). Once sold, the parrots lead the Unholy Three into the homes of diamond owning customers. Tweedledee, disguised as an infant in carriage, accompanies Grannie to help with the heist. Browning treats the outlandish plot with admirable seriousness. With Chaney, Browning also treats the drag persona with depth of feeling. Chaney never camps it up and delivers a remarkable, multifaceted performance. As powerful as Chaney is in the lead role, he damn near is eclipsed by his dwarf co-star Earles, who can give cigar chomping Little Caesar a run for his money. Tweedledee malevolently taunts and manipulates Hercules, threatens Rosie, and plots mutiny against Echo. Epic sleaze in such a small package impresses. One of Earle’s best scenes is acerbic, tense and involves jewels heisted from a murdered victim along with a toy elephant. Rosie, oddly, falls in love with the geek pet store employee/potential fall guy Hector (Matt Moore). Busch and Moore genuinely convey trashiness (her) and nerdy (him) in comparison to their synthetic counterparts in the sound remake. McLaglen too projects a tawdry quality and has a run in with an ape which is almost hypnagogic. A change of heart, sentimental transformation weakens the film somewhat, but Chaney convinces with astoundingly superior acting. Chaney deserves all the acting accolades he has received from film historians, buffs, and critics. While The Unholy Three is not, on the surface, as macabre as later Browning, Chaney films, it has retained its delirious edge well into the 21st century. This entry was posted in BLUEMAHLER'S WORLD OF SILENT CINEMA, Film Reviews and tagged 1925, Harry Earles, Lon Chaney, Mae Busch, Tod Browning, Tod Robbins, Victor McLagalen by Alfred Eaker. Bookmark the permalink.